Mangalore, Sep 5,2014:The unpredicted delay in appointing the Commissioner of Mangalore City Corporation (MCC) has caused a serious delays to several development projects in the city. The Central and State governments have announced various projects for the urban local bodies, the MCC has shown no action to send new proposals seeking the implementation of the projects or has push the pending proposals. To point out an instance, MCC’s lukewarm response towards the Urban Development department’s project to develop crematoriums and parks in 10 selected cities at a cost of Rs 25 crore. Mangalore being one of the 10 cities chosen for sanction of SFC grant for the project, lack of response from the MCC to send the detailed project report to the Directorate of Municipal Administration (DMA) has hindered the progress. It may be pointed out, the MCC authorities have not taken initiative to get the benefit of various other schemes including the Urban Infrastructure Development Scheme for Small and Medium Towns (UIDSSMT) and Rajiv Awas Yojana (RAY) sponsored by the Central government, meant for smaller cities like Mangalore. Though the City Corporation could not avail funds under Jn NURM, it has an opportunity to avail benefits under UIDSSMT. But, no proposals have been submitted to the DMA seeking grants. In addition, no attempts were made from the Corporation to include Mangalore in the list of 100 smart cities, a dream project of the Central government causing a set back for Mangaloreans. Council Opposition leader Premanand Shetty said that major development works in the city limits have come to a stand still due to the absence of a full-time Commissioner. The tug-of-war of the elected representatives has hindered several works in the MCC including developing fish markets, bus stand at Pumpwell, construction of new concrete roads and footpath. The Council can only take policy decisions, but can not implement the projects. Though the Joint Commissioner has been given incharge of the Commissioner’s post, he too has not been able to take important decisions due to the apprehension surrounding the post, he said. Yet, Mayor Mahabala Marla denied the allegation of development works coming to a halt in the city. “The JC who has been handed over the charge, has been taking administrative decisions,” he said. 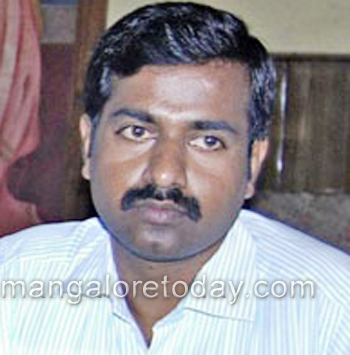 Uncertainty continues : Uncertainty over the posting of Commissioner to Mangalore City Corporation has continues for weeks now. It started with a group of political representatives demanding transfer of MCC Commissioner Ajith Kumar Hegde. In response, Urban Development ministry, appointed KAS officer H Prasanna as the Commissioner and the new Commissioner took charge on July 16. Strangely, he went on a long leave on the same day of taking charge, it is said on direction from the CM’s office. Another group of elected representatives pressurised the CM to retain Hegde, due to which the CM’s office issued an order reposting Ajith as the MCC Commissioner and transfered Prasanna to Karwar, on August 14. However, even after 20 days, the ministry has not passed an order reinstating Hegde as the Commissioner. Such manipulations and irresponsibility are causing lakhs of citizens to get poor services.